To Celebrate its 15 birthday, the studio was converted into a professional art gallery space, and a crowd of 200-300 attending the exhibition Opening. 2015 was a full and exciting year. I was invited to curate “Bounce Down!” in the exhibition space at the State Library of Western Australia which ran from May until July. The project celebrated 100 years of females playing Australian rules football in WA. I learned such a lot about exhibition curating which, in addition to adding another string to my bow, was immensely invigorating and challenging . I also learned a tremendous amount about the history of Western Australia through the game and women's football. 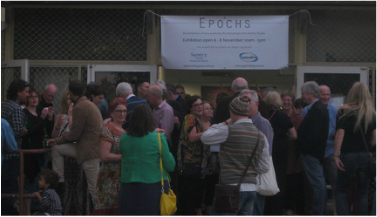 With regard to artwork, I made my series of Jesters and continued landscape painting, results of both exhibited in our group studio exhibition, “Epochs” and sold well. My plans for 2016 are simply to keep on keeping on making. 2015 was a busy year being involved with 7 exhibitions three of which were in Italy those being the Art Museum of Chianciano Biennale, Trevisan international Art "Little Treasures" where I won an award Bologna and an international workshop in San Meniao with an exhibition in Vico del Gargano. Other exhibitions were Reisborough winery Gin Gin, "Time Frame" at Kidogo Arts House Bathers Beach Fremantle both with the Collage Group, Beth Hulme gallery in Fitzroy Nth.Victoria and of course our own studio exhibition "Epochs"
In 2016 I will be attending a residency workshop in Puglia Italy and exhibiting at the Atenao Gallery in Madrid Spain. 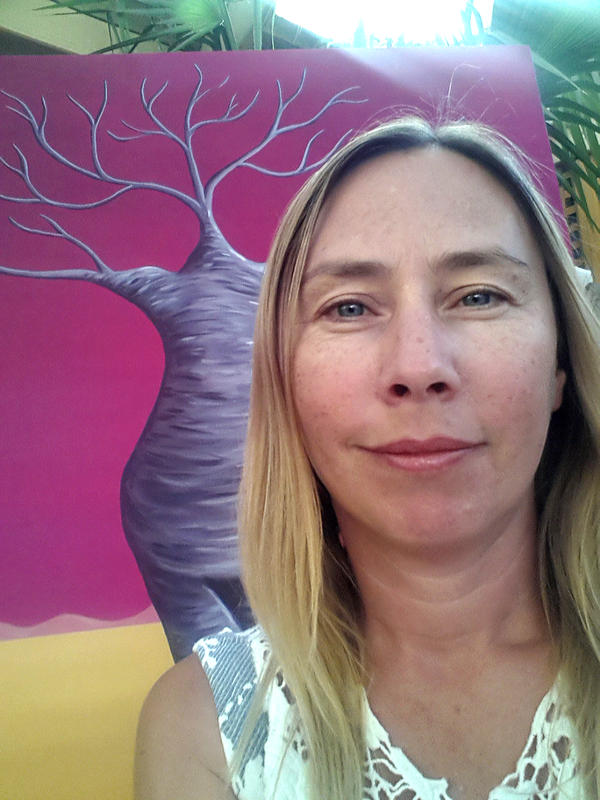 In addition to the studio exhibition, I exhibited in the Cottesloe Sculpture by the Sea, as well as in Biennales in Chianciano (Italy) and Cluj (Romania). I gave workshops with Sculpture by the Sea, Fremantle Arts Centre, Desert Dragon Pottery (Phoenix), The Clay Studio (Philadelphia), and Harvard University (Boston). I was invited to be an artist in residence at UWCSEA in Singapore, the Baptist Care Australia National Conference, and completed four sculptural seats for Tranby College. 2016 will see me lead a Master Class Symposium in Michigan, USA, and be the Perth College's Artist in Residence. My popular studio classes will continue. Sarah has had an increasingly busy year, initially completing forty colour illustrations for a book, and subsequently taking part in the EPOCHS exhibition, which took up a vast majority of 2016. As well as producing a new body of work including drawings for the exhibition, Sarah also did the graphic design, including the invite and catalogue. 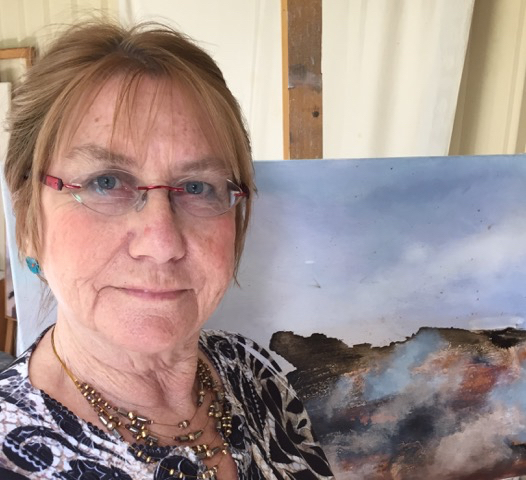 Her popular Saturday morning painting classes have also kept her busy and she is set to increase her classes for 2016. As 2015 came to a close there has been little slowing in projects for the coming year. A number of commissions, as well as illustrations for a children’s book and also being invited to exhibit at Perth College in April, will be sure to keep her busy for the first part of 2016. For the latter part of the year there are plans for a sequel to the 2012 “4x10” Exhibition and at some point when life quietens down Sarah would love to do second solo show. A year of learning new skills with Encaustic, Eco-dying, Sun- dying and a new way of painting intuitively inspired by Flora Bowley. Continued full-time Art Therapy study and leading monthly creative movement groups. Exhibition at the Roasting Warehouse, South Fremantle. Series inspired by Handel’s Messiah at the Perth Concert Hall. Body of work on the Labyrinth theme for group studio exhibition EPOCHS, followed by an open studio end of year sale. Janet is currently working on a new encaustic “Back to Nature” series of multiples and planning “Intuitive Painting” classes for 2016. ​Studio students Helen Robins and Robyn Parkmanboth had their work acquired for its City of Wanneroo permanent collection. Helen also won the 3D sculpture award at the annual City of Stirling exhibition. ​During 2015 the 50+ pages of studio website was completely rebuilt, so hopefully viewers will see pages load more quickly. Do email us suggestions to improve the viewing experience. Sometimes the studio feels like an airport with the studio artists, students and visitors coming and going! 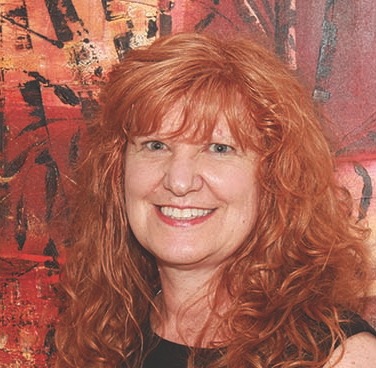 Each studio artist was individually interviewed by Dr Maria Miranda from the University of Melbourne, as research into Australian and Danish artist-run initiatives. Read her initial response in a blog about the studio. Local ceramic artist Stephanie Hammill and Czech ceramic artist Vladimir Uhlik are just two of many visitors that come to mind (note to self: we need a visitors' book). Sign up now for our annual, one page newsletter. Visit our Facebook age and "Like" us, for more frequent news, images and details.